magine a single battery mod that can last longer while handling low ohm builds with ease. We don’t have to dream anymore because asMODus has created a single battery box mod that packs a punch with its 100w, the Amighty! Whether you don’t want to buy new batteries or you want something different, the Amighty utilized 3 types of batteries: 18650, 21700, and 20700. 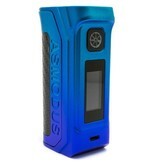 The Amighty has many staple functions such as temperature control, TFR, TCR, and asMODus’ Curve mode. Many companies claim to have an “ergonomic” mod made to fit in any hand, but we have tested the Amighty with many people and we can truly say that this mod will fit the user’s hand perfectly. The enlarged diameter of the mod allows a wide spectrum of attys and tanks to sit on the mod perfectly. The Amighty 100w Touch Screen Mod can handle a wide variety of builds effortlessly, and if the user is a MTL vaper then that’s more battery life to spare. The body and the battery door have spacers installed to ensure that the battery door won’t go flying off when dropped. 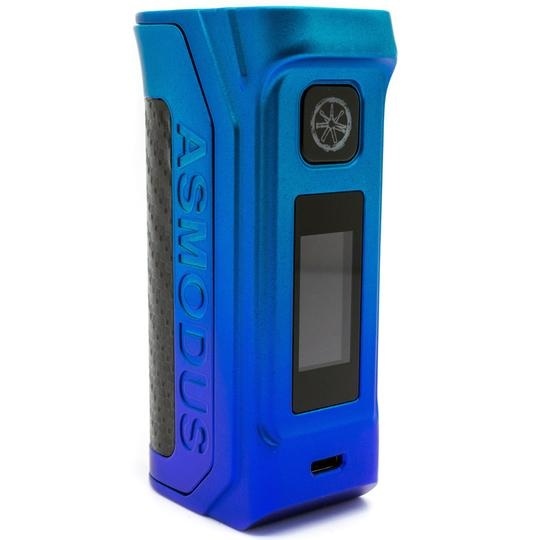 The design of the mod itself is aggressive with the battery door being wrapped with a sheet of carbon fiber with a big asMODus logo in the center of the door and on the sides of the door, we also embedded ASMODUS on door.